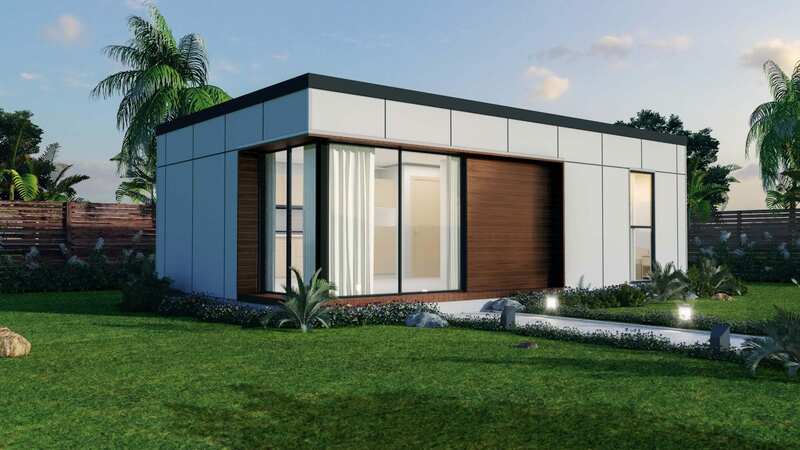 The Fairlight design is our most popular two bedroom, 60m² floor plan and is ideal for most standard blocks. 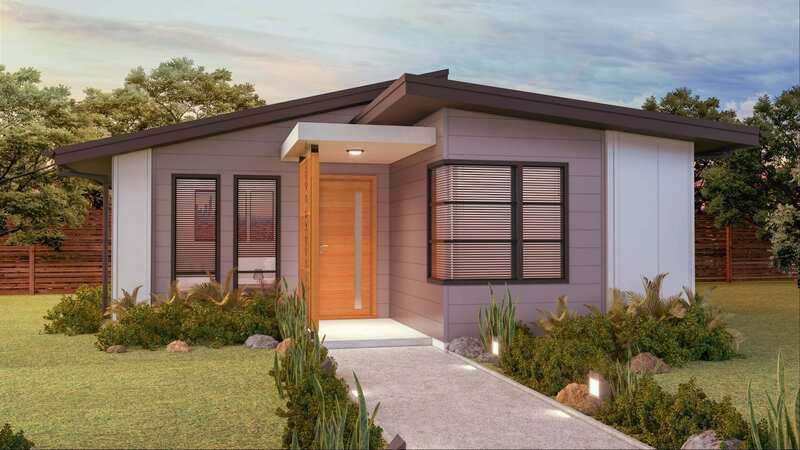 Its design and external façade feature modern, crisp lines and embody everything that a designer granny flat should be. 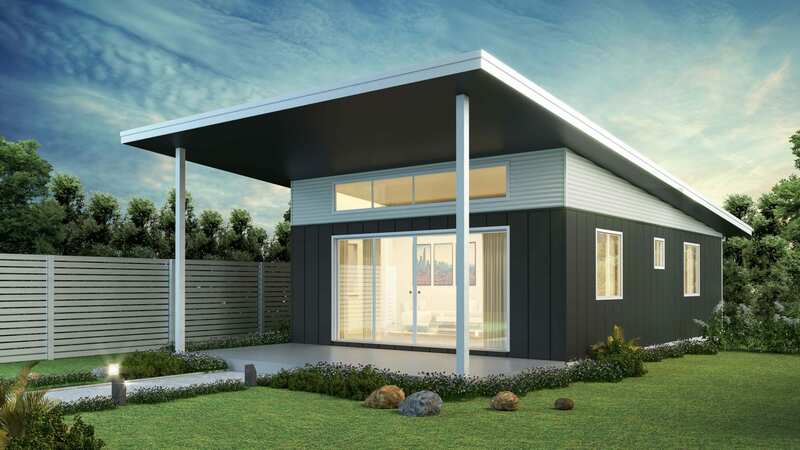 It has a stunning skillion roof which extends over a front patio to create perfect indoor/outdoor living space. 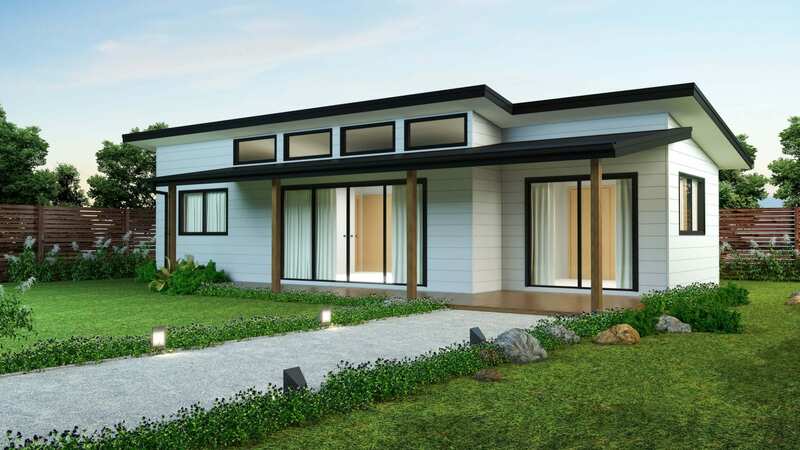 The highlight windows allow abundant natural light to fill the space and the raked internal ceilings in the living area add to the spaciousness of this design.